Kristie was born and raised in Fort Wayne, IN. 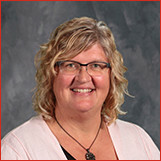 She has her bachelor’s degree from Concordia University, Nebraska. 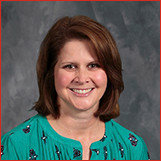 She specializes in Early Childhood Education, Administration, and Parent Education. 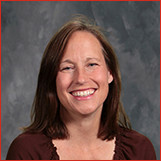 Kristie is married to Brad Sombke. They have two children. 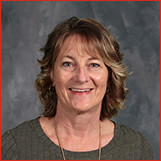 Mrs. Sombke loves helping students, teachers, and parents be successful. Angie was born and raised right here in New Palestine, IN. 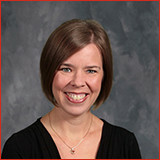 She earned her Bachelor of Arts from Purdue University in Elementary Education. She has her Masters in Early Childhood Education. Angie is married to Jason Singer. They have two children. Together, they enjoy camping, traveling, and going to Disney World. 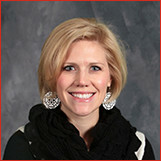 Kristin is a graduate of Indiana University with a degree in Early Childhood and Elementary Education. Kristin is married to her husband Ross. They have three children Seth, Marissa and Gabe. They enjoy traveling and spending time with family. Chelsea was born in New York and raised in Noblesville, Indiana. 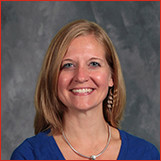 Chelsea earned her Bachelor of Science degree from IU in English and her Master of Library Science from IU. She is married to Elisha Everhart and they have two children. She loves watching Kindergarteners learn and grow. Susan is a graduate of I.U.P.U.I. with a Bachelor’s degree in Elementary Education. She is married to Dan. They have three children. She enjoys sharing the love of Jesus with the children. 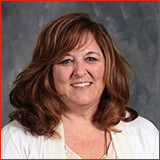 Brenda Crawford is our 2nd Grade teacher. 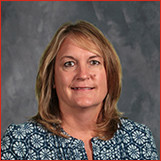 Originally from Iowa, Brenda has a Bachelor’s degree from Concordia University in Seward, NE. She also enjoys singing in the Praise Band. Kristen and her husband, Joel, have three children. Kristen earned her Bachelor’s degree from Indiana University. She enjoys teaching 3rd Grade, and sharing Jesus Christ with her students everyday. Kim is a graduate of Concordia University in Chicago, IL. She is married to husband, Kevin. They have four children. Kim enjoys reading in her free time. Jena Schumacher is a graduate of Concordia University – Wisconsin. 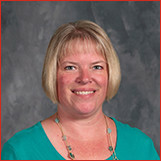 Mrs. Schumacher has taught at Zion for seven years. She is married to Carl and they have one son, Caleb. She enjoys sharing the love of Jesus, and watching the children grow in their faith. Her favorite pastime is spending time with family, and playing sports. Susan Seying was born and raised in Illinois. 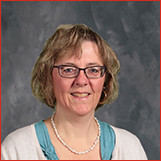 She earned her Bachelor’s degree from Concordia University in Mequon, WI. She is married to Maene. They have four children. Mrs. Seying views teaching as an opportunity and privilege to assist and guide students in their spiritual, academic and personal growth. 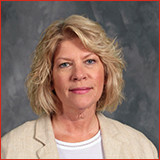 Beth earned her Bachelor’s degree from Concordia Teacher’s College, Seward, NE, and a Master’s in Education from Long Island University in Brookville, NY. She and her husband, Steve, enjoy hiking, camping and exploring the United States. Together, they have visited 49 of the 50 United States. They have three children. 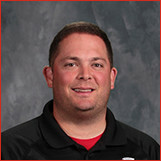 Luke earned his Bachelor’s degree from Concordia University- Wisconsin. He has his Masters degree in Classroom Technology. He and wife, Darcy, enjoy the Children’s Museum and park with their two children. 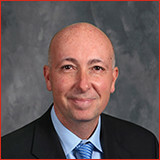 Mr. Finchum also enjoys golf, and playing in the Saturday Service Praise Band. 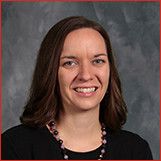 Heather was born in Indianapolis and raised in New Palestine, IN. She has three children and has been married for 20 years. She has been trained in early childhood education. This is her 5th year at Zion. She enjoys reading, drawing and gardening. Her favorite part of teaching is watching the kids grow! Jodee is our Preschool teacher. She enjoys watching the progress her students make from August to May. Jody has three children, and is married to her husband, Mark. Her family enjoys watching sporting events together. 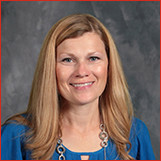 Jodee is a graduate of Indiana University with a Bachelor’s degree. Kristin is a preschool teacher. She has her BS in Elementary Education. She is married and has two children. Kristin loves seeing children learn and grow. Carol was born and raised in Mt. Olive, Illinois. Carol earned her Bachelor of Music degree from Southern Illinois University. She has served as organist for Zion Lutheran Church since 1983. Carol teaches piano, handbells and choir. She is married to Jeff, and they have two grown daughters, and one granddaughter. Together they enjoy serving their church and school, and traveling. 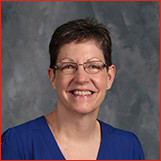 Carol’s favorite part of teaching is experiencing music together-trying new and different things, acquiring skills, learning the musical language, and performing artistically and expressively. Chelsea was born in New York and raised in Noblesville, Indiana. 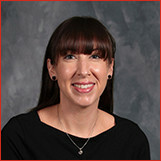 Chelsea earned her Bachelor of Science degree from IU in English and her Master of Library Science from IU. Chelsea came to Zion in 2008. She is married to Elisha Everhart and they have two children. She knows not all students love to read. She believes the right book will engage the most reluctant reader.